SACRAMENTO, CA –-(Ammoland.com)- Today, federal Judge Troy Nunley ruled that a California law banning licensed gun dealers from displaying handgun-related signs or advertising is unconstitutional and violates their First Amendment rights. The lawsuit, Tracy Rifle and Pistol v. Becerra, is supported by Second Amendment civil rights groups The Calguns Foundation (CGF) and Second Amendment Foundation (SAF) as well as industry association California Association of Federal Firearms Licensees (CAL-FFL). The government defended the law on the theory that it “inhibits people with ‘impulsive personality traits’ from purchasing a handgun,” but Judge Nunley held that this cannot justify restricting free speech rights: “[T]he Supreme Court has rejected this highly paternalistic approach to limiting speech, holding that the Government may not ‘achieve its policy objectives through the indirect means of restraining certain speech by certain speakers.’” “California may not accomplish its goals by violating the First Amendment. . . . § 26820 is unconstitutional on its face,” Judge Nunley concluded. The plaintiffs are represented by Benbrook and Stephen Duvernay of the Sacramento-based Benbrook Law Group as well as Professor Volokh. They expect that today’s order in the long-running lawsuit, which was filed in 2014, will be appealed by Attorney General Becerra to the Ninth Circuit Court of Appeals in San Francisco. A copy of the order can be viewed at https://www.calgunsfoundation.org/tracy-rifle-v-becerra. 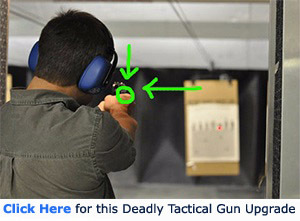 California Association of Federal Firearm Licensees (www.calffl.org) is California’s advocacy group for Second Amendment and related economic rights. CAL-FFL members include firearm dealers, training professionals, shooting ranges, collectors, gun owners, and others who participate in the firearms ecosystem. The liberals loose again, come on November. The best personal defense aid is equitable or superior to whatever may be used against me, you, or us!!!!!. One might want to ask or consider the reasons why so many settlers fled Europe or their other homelands? The 2nd amendment was ratified to ensure the public would be equipped to fight against an army (British generally at that time) and to ensure the greedy whims of the monarchy would have no power in the new world. The purpose of the 2nd amendment was to ensure the wealthy didn’t tyrannize and take advantage of the poor to the point of war or revolution in which you-know-who loses and remains or becomes enslaved. It’s only a matter of time before history repeats itself in this young nation as it did so many times “across the pond”, and the framers knew this. Since the Bill of Rights was written Crony Capitalist monopolies (The Deep State Globalists) have been growing. They didn’t acquire their wealth through philanthropy; they are definitely out to get us and that’s not paranoia, it’s just a simple fact of life. Now, lobby groups generally promote interests of the 1% whom basically own the government in a progressively increasing and obvious way. We go back to the simple question of “What part of “shall not be infringed” do these Leftopathic Corruptocratic Globalists not understand”? Any law restricting ownership of any firearm written since 1791 is UNCONSTITUTIONAL and therefore technically unenforceable ! Why were no First Amendment Rights groups involved in this lawsuit? Do they not realize that when the State restricts one Constitutionally guaranteed right, and gets away with it, they will start infringing on other Constitutional rights? What happens when they decide that Christianity is offensive to the Muslim community so they start legislating against crosses and depictions of the crucifixion? What if they decide the other way and decide that all Muslim practices should be outlawed and everyone is required to publicly eat bacon to prove that they are all inclusive?